Direct successor of the Gam.B.A.S. project,this new project aimes to build a new software tool able to ease the creation of videogames. 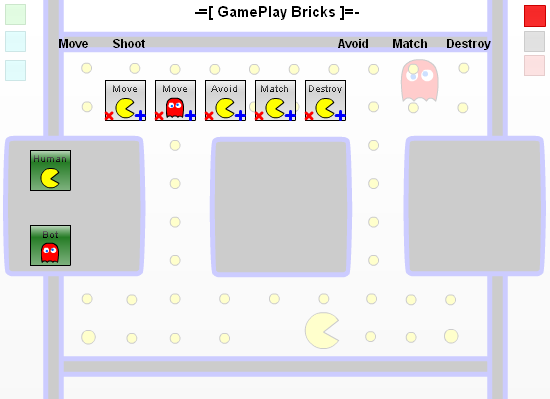 To achieve this goal, it relies on the idea of "Gameplay Bricks", in order to allow real-time creation and modification of the rules of the game through an high-level of abstraction. "Serious Game Design - Considérations théoriques et techniques sur la création de jeux vidéo à vocation utilitaire"
Thèse de doctorat en informatique, Université de Toulouse III - Paul Sabatier, 2011.